Gov. 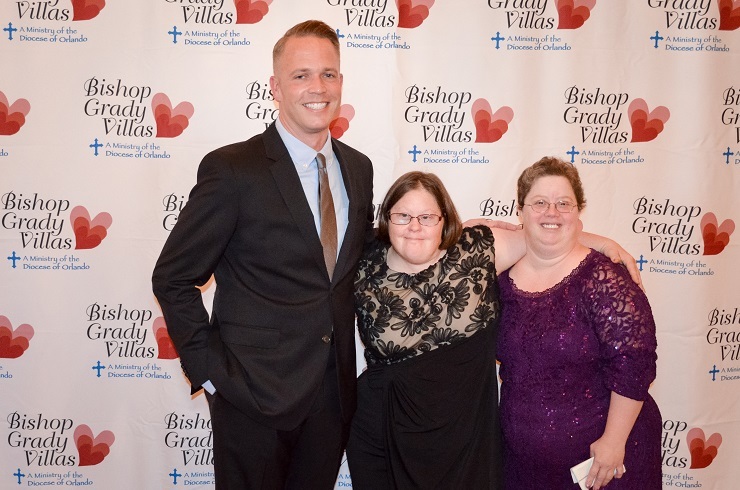 Rick Scott recently reappointed Bishop Grady Villas (BGV) executive director, Kevin Johnson, to another 4-year term on the Florida Developmental Disabilities Council. Johnson is one of 25 members comprised of parents, self advocates, professionals and agencies working to improve and promote meaningful participation in the life of Floridians with developmental disabilities. BGV is recognized at the state and national level for its residential model and work. Johnson says the council allows him the opportunity to take what he has learned as a provider and “spread best practices and advocate for individuals”. He explained he brings a “unique perspective” in that BGV is a community-based program, different than the typical residential program model in Florida. In the past four years, Johnson has worked on numerous issues. He is most proud of the strides made in gainful employment for people with disabilities, especially through Project SEARCH and the Employment First Initiative. Project SEARCH is a transition age youth model that Bishop Grady Villas has expanded in Osceola and Seminole Counties, beyond the residential community. Others have implemented the model throughout the state. The partnership is between a school district, a state vocational rehabilitation program and a large employer who can provide three rotations for students with disabilities in their senior year of high school. The provider (BGV) then helps place the individual according to their newly acquired skills and personal aptitude. Employment First is a collaborative agreement between “a majority of the state bodies that have an impact on employment for people with disabilities. It was a major achievement,” he said. Signed by Gov. Scott, these agencies now prioritize employment as an option for these individuals. “The council has also highlighted the crisis in the provider community for qualified and well-compensated direct support professionals,” he added. Florida ranks among the lowest in the nation in funding services for people with disabilities. “Almost 22,000 people are on a wait list for services, which likely exceeds 7-10 years,” he said. The council is seeking a “base-level” of support. “Investment in the infrastructure to promote less dependence (on the part of the individuals with disabilities),” is something the council is working toward, he affirmed. It shifts the burden of providing jobs from the state to private industry, ultimately promoting individual independence.